Brenna and Priscilla in Bologna! The infamous duo finally made their way to good ole' Bologna... I'm guessing they were sad to arrive, since Bologna signified their last foreign affair, and jobs, real life, unemployment, lack of colorful pant colors and delicious cappuccinos would soon great them, but that could not put a damper on our last 4 days of fun! No way! Getting organized quickly, and planning out our 4 days together, we booked a hotel in Florence for Saturday, decided on a train departing at 6:45am, and then headed out to explore Bologna. Because of the holiday, the main museums of Bologna were all free. We started off in Piazza Maggiore in the Tourist Office to get a map of the city and a description of all the museums that were in the city. This list actually surprised me, I was unaware there were upwards of 20 museums in the small city, and it made me realize I clearly hadn't been doing the right research about the city yet (even after a month, eeesh)! We picked a museum on the list that sounded interesting and quickly headed in that direction. On the way we stumbled upon a small art gallery in a palazzo on Via Castiglione, and a museum of Bologna's history further down the road, going into both and spending the rest of our day there. Next stop: Gelato. We went to the fabulous Gelateria in Piazza Cavour that Tori had taken me to the first time we met, Cremeria Cavour. The girls LOVED the gelato, especially Priscilla who had Cioccolato fuso (nutella type substance) poured into the bottom of her cone. For dinner, I think we forgot to eat? We had planned to have a drink then go to eat, but plans changed. After a beer or two in Via Solferino, it suddenly became 10pm and time for San Petronio fireworks in Piazza Maggiore. We watched the duration of the show, then had the brilliant idea of Spacca Napoli for pizza! Where else could fill a pizza craving!? Friday we strolled around Bologna, first going to the Jewish Heritage museum, then using the day to mainly shop. We walked through the open air market briefly, in Piazza XII Agosto, then headed to the train station to get our tickets to Florence. We spent the rest of the day meandering up Via dell'Indipendenza, hoping to make some purchases! We stopped only to grab lunch at a delicious place on a side street and then continued on! Both Brenna and Priscilla were successful! That night, I took them to a traditional bar for Aperitivo, Cafe Zamboni... they have the biggest and busiest aperitivo selection in Bologna (I've now gone there 1 too many times). We all drank a Spritz Aperol, to commemorate the time we drank them in Rome at Bar della Pace 4 years earlier with my parents. We all still have our Spritz tshirts and flashlights they gave us for spinning a wheel! I turned in all my documents to register! WAHOO! Saturday, we woke up EARLY. We arrived in Florence by 8:45, settled our stuff in the lobby of Hotel Fiorentino, then I led the way to all the typical sights. We covered a lot of ground starting by climbing the Campanile, bell tower, of the Duomo, waltzing through Piazza della Republica, Mercato Vecchio, Orsanmichele, Piazza della Signoria, Palazzo Pitti and Piazza Santo Spirito. We grabbed a pasta dish from La Mangiatoia near the Pitti Palace where I used to go after class at Eurocenter, then grabbed sandwiches from the Florence Term Abroad's favorite place... Gusta Panino... fyi definite price inflation since 2010. That night I picked a horrible restaurant for us to eat at. I literally could stop talking about HOW BAD the food and service was. I was very bummed. We tried to pick economically, and it looked like a decent place, but it was veramente horribile. So if in Florence, DO NOT GO TO RISTORANTE LEONE near Il Bargello. I regret every second of that experience... ask the girls! After that we really need a drink, so we went to the hotel and had our supermarket cheap beer, then headed out to the Florentine night life, hitting up the Santa Croce area. We tried Twice, then Moyo and finally Red Garter where we ended up staying because they had a live band. Other than that, I was slightly appalled by the clubs and couldn't recall if they were the same back then or if my preferences have just changed for what I call 'fun'. Sunday we woke up to make our 10:30 reservation at the Uffizi. We spent a number of hours roaming those long corridors of famous painting after famous painting, then we devoted the rest of Sunday to San Lorenzo and finding lovely leather goods! In terms of spending un sacco di soldi (a lot of money), I'd say Priscilla and Brenna were rather successful! Leather gloves, purses, bracelets and jackets were all purchased, scarves and almost a pair of boots as well. And you can't forget our constantly growling tummies :) All in all, Firenze was a success! P and Bren came back to Bologna with gifts for everyone and themselves, ready to spend their last evening without sleep before returning to the world of job searches and new jobs! 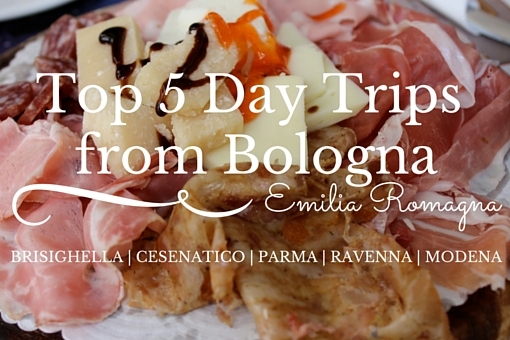 Upon our return to Bologna, we walked back to Via Solferino from the station, scoping out different options for dinner. The plan was to buy some Bacardi Breezers to remind us of 4 years ago (minus Katherine :( ) and then have a late dinner and stay up until 3:45am when the taxi would come pick them up. Unfortunately it was Sunday, and we didn't plan on supermarkets being closed, so plan #1, Bacardi Breezers went out the window. P and I went on a quick run while Brenna packed her things, we all showered and they finished up packing, then we headed toward Via Indipendenza to find a restaurant we had walked past coming from the stazione. Our waiter was very nice and the food we ordered was very particular. I got the pasta alla carbonara (normal), Brenna got tortelloni with a balsamic cream sauce and P got tortelloni with a variety of veggies including zucchini... all delicious! At dessert time we figured out that our waiter spoke English so well because he was Canadian, and we also found out he was super nice, as he suggested he bring us a tray of different desserts so that we could try a number of different things. This tray included Tiramisu, Zuppa Inglese (typical of Bologna), Chocolate cake and marscapone. The girls devoured the Tiramisu, I conquered the chocolate cake, we all ate the marscapone, and we took nibbles of the zuppa inglese but didn't really like it. Luckily, the waiter's American friends came by, one of whom LOVED zuppa inglese, so he devoured the rest of ours, as the waiter brought out a bottle of Limoncello, 1/3 full, which we all proceeded to drink and finish. Miraculously, our bill came out to 16 euro each, and we made new friends! With the Americans we went to a hookah bar on Via del Pratello. We stayed there for a number of hours then headed back toward Via Zamboni. It was a Sunday night so everything was relatively quiet, but our waiter toured us around, showing us a few secrets of Bologna, then we took a celebratory last night shot at Lime Bar and headed back home to wait out the final our before the girls Euro Trip officially ended. Boy was I pooped, and extremely sad to see them go. I had been so lucky to see them every week for the first few weeks of my time in Bologna, and that certainly made my transition that much better. We had a lovely time in Italy, and leaving them to get in the cab was rather bittersweet, but I had a feeling they'd be back in Europe if vacation days allowed it within the next year... Oktoberfest again ladies??? Wow what a fun time!This is not what I was doing when I was 22. Thank you for being my dedicated reader! Miss you zizi Linda! Classes are hard! I have an exam Monday! dai!